NEWS FLASH – MID RIDE PICK ME UP! It has been reported that Watton Wheelers have been spotted Techno Doping. Forget those Zip wheels and get Zapped instead to electrify your performance. Turn your adopted BT telephone box into your village medical centre! More information here. 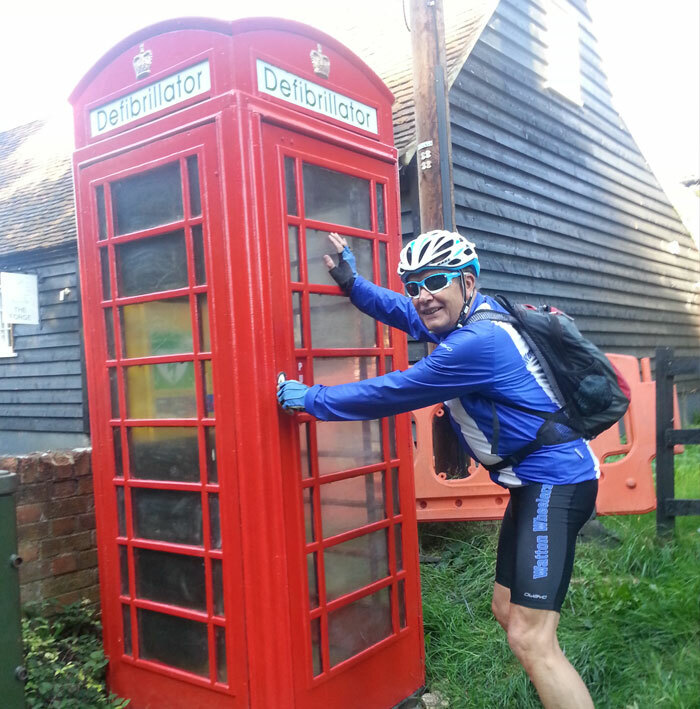 By admin|2015-10-08T14:20:36+00:00October 1st, 2015|Defibrillator, Phone Box|Comments Off on NEWS FLASH – MID RIDE PICK ME UP!